Memorial Stadium in Dodge City, Kansas. The gates open at 5pm, pregame begins at 6pm and kickoff is at 7pm. Each player selected has the opportunity to play in one of the most prominent all-star games in the nation and for a worthy cause. 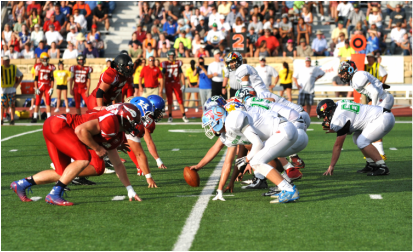 All players will be representing their high school, the Kansas Shrine Bowl and most importantly the Shriners Hospitals for Children and their patients. All proceeds from the game go to benefit the network of 22 hospitals.